Availability: This item will be released in Summer 2004. You may order it now and we will ship it to you when it arrives. -Ruffus makes a comeback and we learn a valuable lesson about Christmas. -Lesters new language makes Johnny the laughing stock of the family. -Johnny heeds Lesters advice to make summer school more fun. Bad idea. -We finally find out what Robert does for a living, or do we? -Lester gets Johnny drunk, and we laugh at him a bunch. 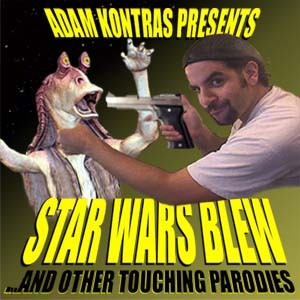 -Adam cant figure out an ending to the previous episode, so The Boyles try. -We relive our childhood memories of our parents invading our privacy. -The day we never thought would come. -The Boyles find a way to live forever. Simply the most massive Boyles Collection ever attempted. Absolutely every single item ever created on the family is in this CD. 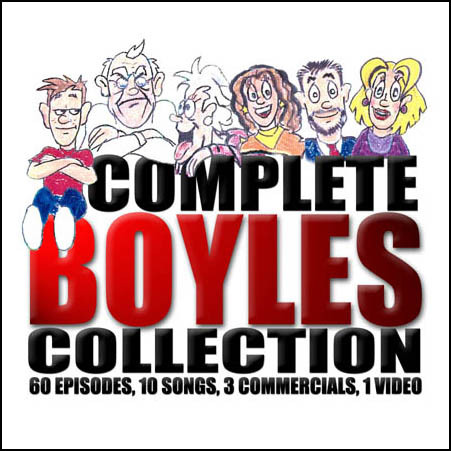 60 Boyle Episodes in mp3 format (2 never before heard, completed in 2004! ), 10 Songs from the family and even 3 commercials that actually aired on both 610 WTVN and CD101 in Columbus, Ohio! On top of that, scans of the original artwork and finished artwork for all 5 cassettes. As if that wasn't enough, included for the first time ever to the public, the very first animated Boyles from Adam's Eminem 4tvs set: Johnny and Lester singing "G Lester". Over 400 minutes of adventures all on one CD. You could probably ask for more, but that would just be silly.